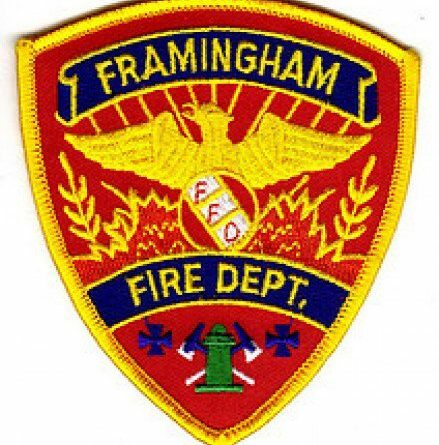 FRAMINGHAM – Just after 4, Framingham received a call for a fire in downtown Framingham on a snowy Christmas morning. The call was to the same plaza firefighters were called to on December 26, 2016. That 2016 night, the strip plaza received substantial damage, forcing several businesses to relocate and to close. Framingham Deputy Fire Chief Mark Marc Leporati said he and his firefighters found heavy smoke damage in 185 Concord Street, Niposul Mattresses and Furniture, this morning. Then, they found next door, at 183 Concord Street, at People Ready, an employment office, a small fire in the rear of the building. Firefighters extinguished the small fire in the back of the building, said Leporati. He said there was damage to the rear door and the ceiling of the store. The fire caused “heat, smoke, and water damage,” said Framingham Fire Chief Joseph Hicks, this morning. There was about $5,000 worth of smoke and fire damage, estimated Deputy Fire Chief Leporati. The cause of the fire is under investigation, said Chief Hicks. Leporati said the Massachusetts State Police and the Massachusetts Fire Marshals’ office have been called to help investigate the fire. There were no injuries, said Chief Hicks, this snowy, icy morning. Leporati said he wanted to thank Framingham DPW for showing up and salting the area near the fire, as it was getting “icy and slippery” this morning. Originally posted at 6:38 a.m. Updated twice, to add quotes and fix typos.